Titan is the Saturn’s largest moon and is the second largest moon in our solar system. If it were not orbiting Saturn, Titan could be considered a planet as it is larger than Mercury. 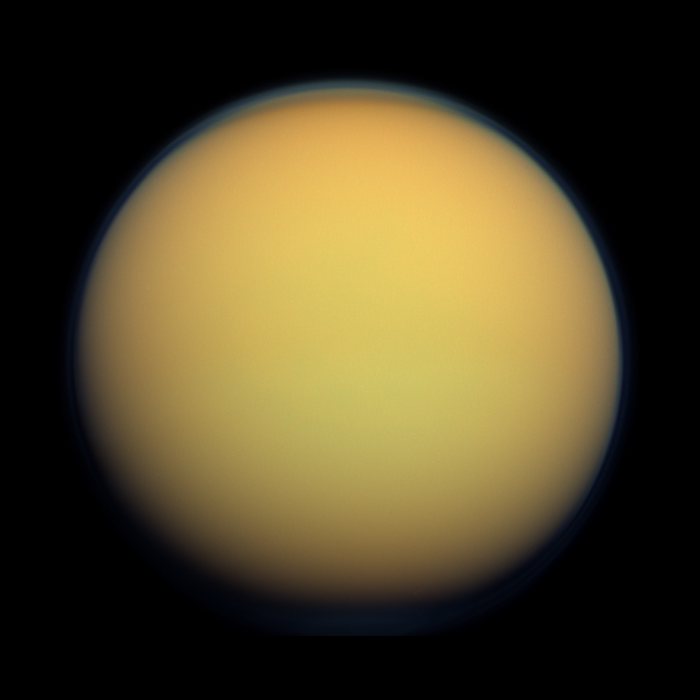 Titan is covered with a thick atmosphere that some consider to be similar to that of early Earth. Several probes have imaged Titan, but only one has visited the surface — the Huygens lander. It arrived on January 14, 2005, and sent data for about an hour and a half, making it the most distant landing of any mission in the solar system.